Selling old diamonds, fine jewelry, and expensive watches can be a very private and emotional experience. At ThingsWeBuy.com®, we know everyone has a different reason for wanting to turn these items into liquid assets and, as such, sell them for cash. Whatever your reason for wanting to sell old jewelry, ThingsWeBuy.com respects your privacy and offers professional, friendly, and helpful customer service to make each transaction satisfying and hassle-free for you. Our Appraisal Kits are free and secure. We will either mail you a check or contact you with a quote. Our customer service group is available at (800) 393-5532 to answer any of your questions about selling jewelry online. Why is selling your old jewelry to ThingsWeBuy® safer and more convenient than selling to a pawn shop? Selling your old jewelry and diamonds to ThingsWeBuy can be safer and more reliable alternative to selling to a pawn shop. Why allow old broken gold jewelry and unwanted jewelry to lay around in your jewelry box when you can trade in old jewelry for cash with ThingsWeBuy? The time is perfect to sell your old and unwanted watches, rings, diamonds and other fine jewelry. Many people are choosing to visit pawn shops to trade in their valuables for cash but ThingsWeBuy is a hassle-free alternative to visiting a pawn shop. Our seamless process allows you to receive cash for your gold without leaving the comfort of your own home. There will be no need to venture out to a pawn shop in another neighborhood to which you may be unfamiliar (remember you will walk in with valuable jewelry and walk out with cash!). At ThingsWeBuy, our professional staff have extensive experience in the industry. They are trained to provide a careful inspection of your valuables. 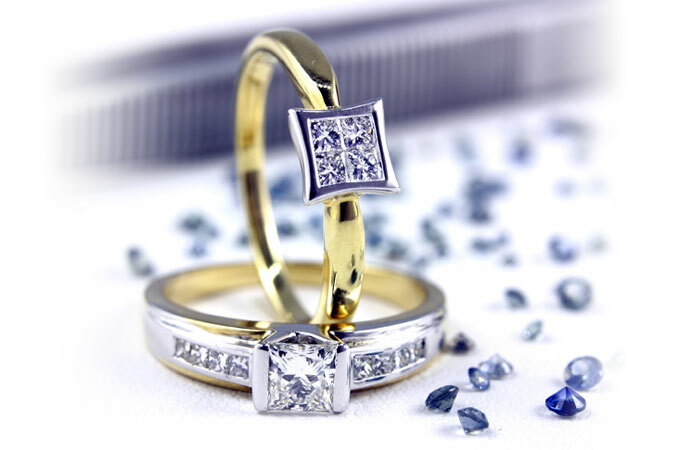 Pawn shop dealers appraise a wide variety of items on a daily basis beyond the diamond and jewelry market. Many may not have the understanding or expertise to provide a careful appraisal. Online doesn't mean impersonal. ThingsWeBuy® prides itself on providing exemplary customer service--the dedicated attention you deserve from experienced professionals you can trust. We are delighted to discuss the appraisal of your jewelry items by phone once they have been received. We will never request financial information from you. And safeguards are in place to ensure that any information provided to us is secure.